← DogDaz Zoo: I See You! 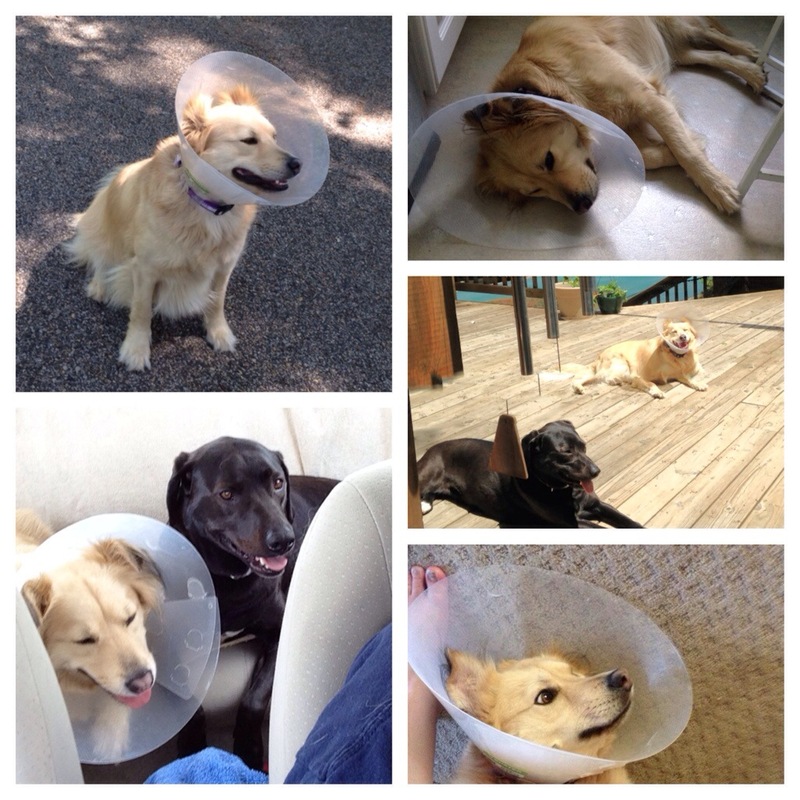 Happiest conehead I have ever seen though. Awwww… Such a brave girl! I hope it will be better soon. Ear infections are horrible. But I’m glad you can smile, even with a loudspeaker on your head. Woah, you dogs get to wear lampshades on your head so you can hide? No fair! Too cute, and I agree -never seen a more upbeat conehead in my life. Aww that is adorably embarrassing! 🙂 No shame! Own it! Right on! She is owning it! True – she has gained a few pounds. Never seen a dog react so well to one. She is doing great Bailey. I think she thinks its a crown of glory. Oh, the cone of shame. So happy she is handling it so well! Oh dear, a cone is never good.